Recently, Sanya‘s relevant departments have launched an overall inspection on fire safety risks in the Furniture Centre in the Lizhigou Area. A total of 10 furniture stores have been ordered to suspend operations due to their addressable fire detection system. According to inspecting officers, these furniture stores have a number of critical safety breaches including the complete obstruction of ventilation, no fire risk assessment, no maintenance of fire safety systems and a lack of emergency exits. “We are now formulating specific regulations regarding the fire risk to ensure operators stay away from significant risk,” said an officer. 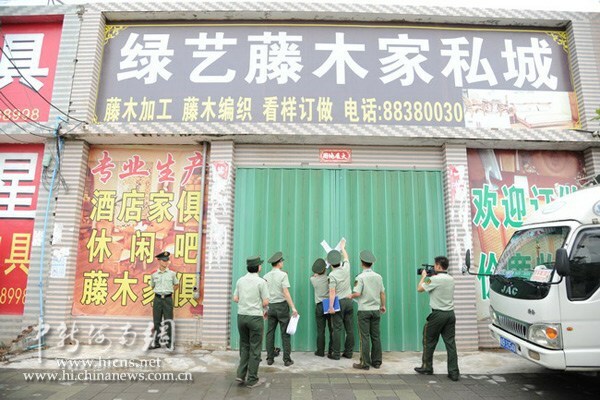 In response to the fire safety campaign nationwide from September 6, the Sanya fire department has inspected 927 units and found 195 units violating fire safety codes. In addition, 42 of them were fined up to 462,900 yuan.